Meaningful and authentic, Germany’s answer to American superstar Future. In one YouTube comment, the Hamburg rapper was referred to as Germany’s answer to American superstar, Future. That is a bold statement, but not one that would ever vex the 1.6-metre tall female rap titan. Owning the ‘emo-trap’ scene, Haiyti’s provocative, yet emotive lyrics, flow within the contemporary ‘cloud-rap’ scene, and have propelled her to the heady heights in which Thump labelled her as ‘the most innovative German rapper of our time’. Not bad for a 24-year old. Born to a Croatian father and Berlin mother, Ronja Zschoche grew up in Hamburg, the denizens of which came to illustrate her future rap lyrics. The lyrical paintings of which–as an art school student-depict a world of gangster types and broken romances. Playing with the art of ghetto romance, with music she describes as G-Punk, Haiyti–sometimes known as Robbery- sympathetically plays with the notion of being lost, while embellishing a new era for female rap without even ever having to acknowledge it. 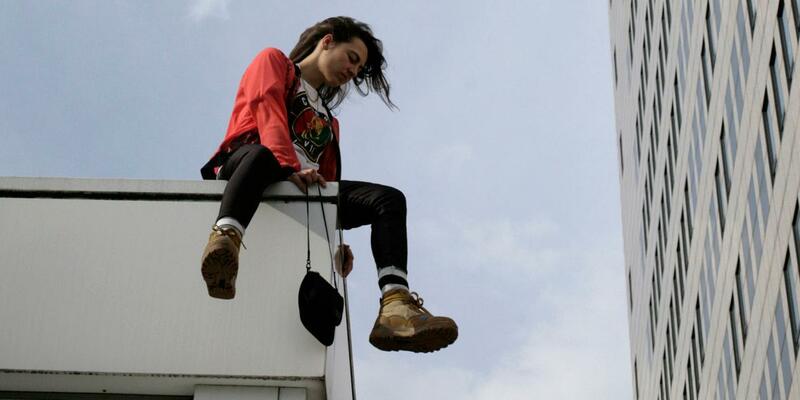 Part of a new wave of sterling, German rap talent that also includes Like Yung Hurn, Lgoony, and SXTN, Haiyti got everyone’s attention with her 2016 mixtape City Tarif. Having roped in some of Germany’s latest underground beatmakers including AsadJohn and Frauenarzt, the free download included tracks, ‘Pete Doherty’ – a track about how she feels like the guy who dissolved the pop-star aesthetic – and ‘City Tarif’ – an ode to the dichotomy of riches in inner city Hamburg. In the same year she also dropped the Jango EP, a set of tracks highlighting an ominous and vulnerable side to her demeanour, with the track ‘Angst’. It’s this angsty playfulness to Haiyti’s music that makes her so original. It’s as if the earnestness is made in irony. You can also see this in her videos – a certain sincerity, adorned with rap’s, stereotypical bling ornaments. Many state that her adoption of YouTube played an integral part of her fame. Within her sonic aesthetic, you can hear Haiyti, acknowledging rap music’s legacy, while maintaining a minimalist, lo-fi edge. With her mobile constantly on hand to record her latest musical ideas, Haiyti has become a record-making machine. This year saw the release of her latest record, Follow mich Nicht. It’s an album that has already spawned the single ‘White Girl with Luger’, and ‘Moscow Mule’, already receiving rave reviews and creating an aura of professional swagger. And the whole Robbery nickname thing? Well, it’s a former alias that stuck around. “Robbery is just a bit raw, rough, street, with the collar around the neck. Haiyti is more poppy,” she describes in an interview with Thump. In the end, Ronja is always both at the same time. Streetwise, meaningful, and authentic, while retaining an edge that is appealing to all. This is why the diminutive girl from Hamburg is one of Germany’s unique talents to date.